I was recently setting up a web server on centos with nginx and php. The installation of nginx was fine, but the http port of the system was not accessible from outside. 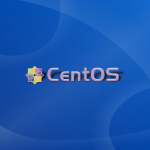 This is because centOS by default has some iptables firewall rules in effect. Only the ssh port (22) was accessible and remote shell worked. So its necessary to open up port 80 for webserver like nginx to work. Iptables is the firewall on linux that can be configured to accept or reject network traffic based on various kinds of packet level rulesets. So it is necessary to configure this firewall to enable connections on network ports. There are 2 ways to configure iptables to open up port 80. First is using the iptables command and second is by creating a configuration file. First check the existing iptables rules in effect. The command is quite simple. Here is a sample output. To accept http connections we need to add a rule at line number 5 and push the REJECT line below. Here is the command to do it. The above command will add a rule at line #5 stating that the firewall should accept incoming connections on port 80. Check the iptables rules again. Now we have the new tcp port 80 rule at line #5 and so now the http port is accessible from outer network. However this change is temporary and would vanish if the server is rebooted. To make it permanent issue the iptables save command. Now the change is permanent. Alternatively you could directly edit the iptables configuration file and restart iptables and the same change would take effect. Thanx a ton for this. Exactly what I needed. One of my servers crashed, had to rebuild it, and of course, it remained invisible until I opened the tcp port. I think my first effort had slotted in the ‘open-tcp-port’ syntax *after* the “reject all” in the INPUT chain, and of course the tweak to open the port needs to be *before* that final entry. Your page is well written – you make this point clear, and provide an unobfuscated example. Thx. Thanks a lot you have saved me from a lot hours work !! Awesome! Thanks you very much! Thanks for your post, help me a lot. Thanks a ton! the Iptables -I 5 .. was very helpful. How to do you delete a rule? Excellent, it’s works very good & thanx! Thanks, really well explained !